If you’re interested in growing your facebook group or starting a facebook group to grow your business, join the conversation! 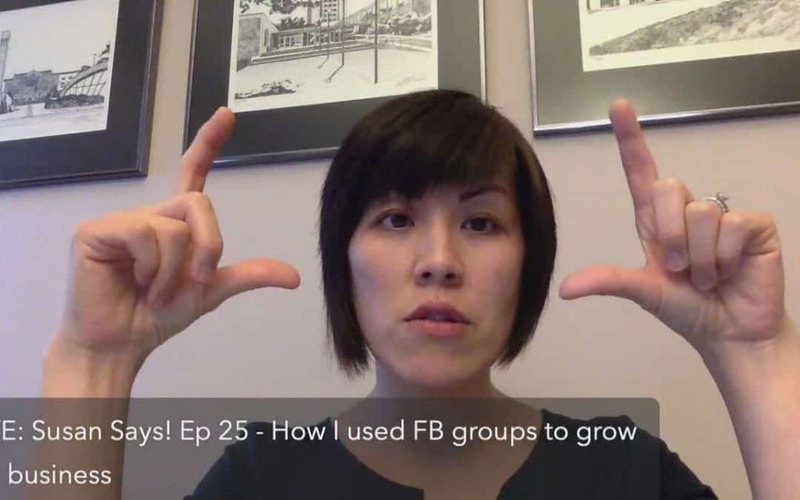 Want to join a free challenge to grow your facebook group? Hi Susan McVea. I have not even though I created one. Yes, I am looking for ways to use my group in a meaningful way. Hope this was helpful and please join the challenge. I think it will give you the first action steps you need! I like the analogy to an open house. I guess my challenge is: although I know my avatar and what she needs, I am not sure what to do to attract her to my group. Be sure the name of the group is what she is looking for. Don’t be afraid to tell women you meet in person or online to join their group and what they will get out of being in there. Most of my first members didn’t find me. I found them and invited them to join my group when I was talking to them. Setting the right expectations is huge! It totally is important to be on the same wave length. So true! People don’t want all of that lol. And remember (for those reading this comment), you can survey your people. Ask them what they need and how often. Yes, knowing your people is huge! That’s what it’s all about! For sure. Yes, you — the host — has to show up. It’s what makes your group stand out from others. Trust me! Exactly! No one is like you. Showing up can be simple. It’s always a great challenge! Starts Monday! Can you provide the link to that challenge? Were you able to grab it Tina? So glad you mentioned that. Yay! I’m glad it was impactful. Awesome. I’m so glad! Thanks for joining me live. Hey! Thanks so much for joining me! Need to have you come back on the Monday meetup show! Exactly. I am all for simple. Oh geez. Fb is tricky on us. I haven’t caught many lives lately so haven’t seen this Flip. Dang it fb! !